Political intensity, deranged bad guys and really cute smart chicks?! Oh is it ever good to have a Kojima game again. The Metal Gear origin story, following the Cold War exploits of papa Snake and the holy hell of a mess that came out of it. It’s not easy to find a starting point when talking about a game like Metal Gear Solid 3, so let’s have the game do it for us. After opting to start a new game, the menu prompts you to choose whether you have played an MGS game before, or if you prefer MGS1 or MGS2. 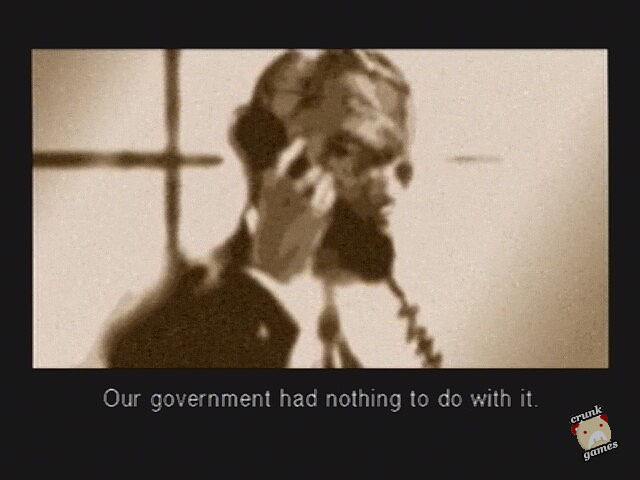 While your answer affects none of the story, if you say you like MGS2 it quickly becomes clear that the contention that surrounded Sons of Liberty was duly noted at KCEJ. It’s also the first subtle indicator that they tried to minimize the backlash this time around, so regardless of whether you liked any of them, you should know that Snake Eater is a different animal. Not that it really seems like one at first. There’s the typical setup: an attention-getting introductory cutscene followed by Snake getting his mission briefing and heading out of the frying pan and into the fire. The Snake you play as becomes the future Big Boss, and this is what brings on the rest of the Metal Gear series; if that’s not obvious to you by now, it’s no longer our fault. And yes, the jungle setting sounds pretty freeing on paper, especially without much of a complete radar, but it’s more like there are trees instead of metal walls. There remain sectionalized areas, as if the forest is split up into "rooms," and rarely will Snake have to travel in any other direction other than north to get through it all. But those are mostly forgivable points, since MGS3 is still first and foremost a game of silent intrusion, and having fun killing people second. Even getting caught can be enjoyable, since that’s when the groovy heart-pumping danger music starts up, and it’s better than ever in this sequel. 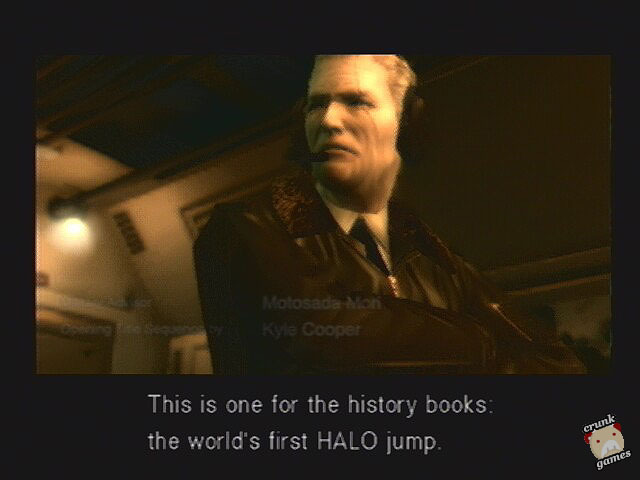 Though we can’t forget those "CQC" and "Survival Viewer" things, either. Though the CQC techinques only offer a handful of new moves on top of the familiar punches, kicks and holds, the Survival Viewer tries to organize Snake’s health and supplies a little better than simply hitting L2 to eat rations. Neither can we forget the much talked-about camouflage system, which keeps Snake semi-invisible and out of trouble. There’s a smorgasboard of patterns to find ingame and online, though you only really need to depend on a set four or five for most of the game. The only drawback to all of this is it can be a pain to have to hit Start so often to change camouflage, heal wounds or eat to raise the stamina meter, making it feel like Tactical Espionage Role-Playing. We’re also positive the use of the backpack and the in-and-out inventory switching that’s a part of it is lifted right out of Pokémon. Like Sons of Liberty, Snake Eater is told in two chapters, but without any hero-switching or other tricks between them; in fact, each act is only days apart in the story. In Operation Virtuous Mission, Snake’s dropped off over Tselinoyarsk, a jungley, mountainy spot in western Russia. Snake arrives, lurks through the jungle, maybe shoots up a couple of guards and eventually finds the dapper Sokolov in a run down factory in the forest. Sokolov is part of the team developing a "nuclear-equipped battle tank" called the Shagohod, a Metal Gear precusor of sorts. 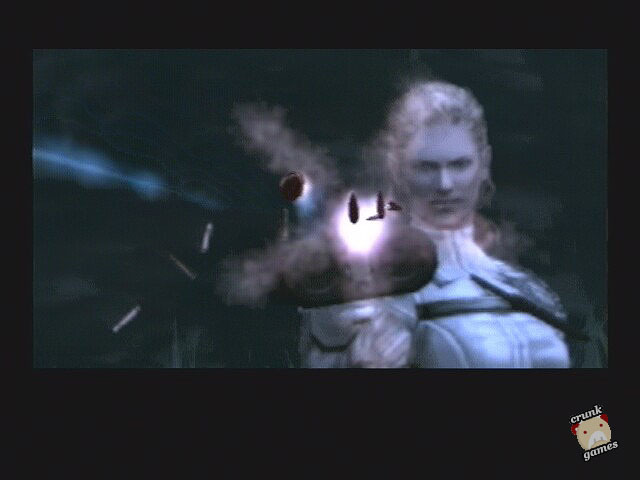 The two head back to be picked up, but unfortunately the mission is abortively halted at the hands of The Boss, Snake’s longtime mentor who was advising him by radio just minutes earlier. 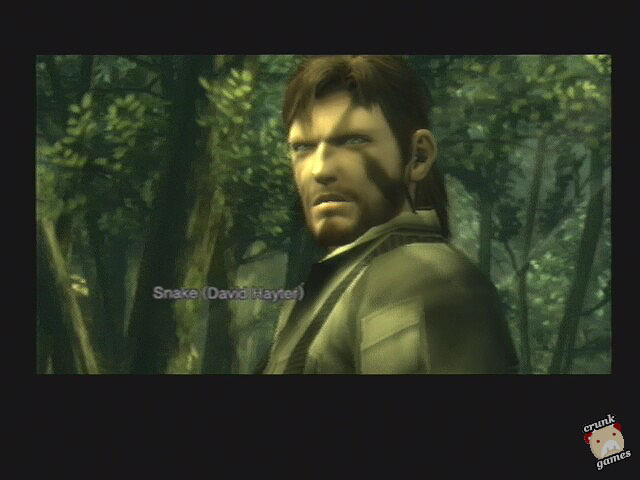 Long story short, Snake is dumbfounded and literally sent up the creek without a paddle, letting Sokolov slip away. Operation Snake Eater follows, and it’s the real deal. Snake heads back to Russia to reclaim Sokolov again, this time from "main" bad guy Colonel Volgin and The Boss, who don’t make it easy, as The Boss brings out her "sons," the Cobras, to take out Snake as his adventure goes on. Not to mention an overconfident kid named Ocelot always wanting to start something with Snake. Snake does have some assistance in EVA, a sultry informant who has her own motives but gets wrapped up with Snake’s mission as well. She’s the only one Snake can fall back on, and vice versa, and their dynamic plays out interestingly, all the way to the very end. Rather than telling a story of the near future, Kojima and his writing partners work within the ’60s, a time that’s already been, building the backstory and sci-fi nuttiness from there. But there’s also a stronger sense of emotion in the story as well. Trust is shaky, characters are thrashed around and often treated with low regard — as it goes in combat — but in a few cases you find yourself actually caring about them. Maybe not to a large degree, but it seems like an impossible dream after Sons of Liberty. You feel that way up to and all through the outstanding endgame, one of the longest but also most satisfying on record. 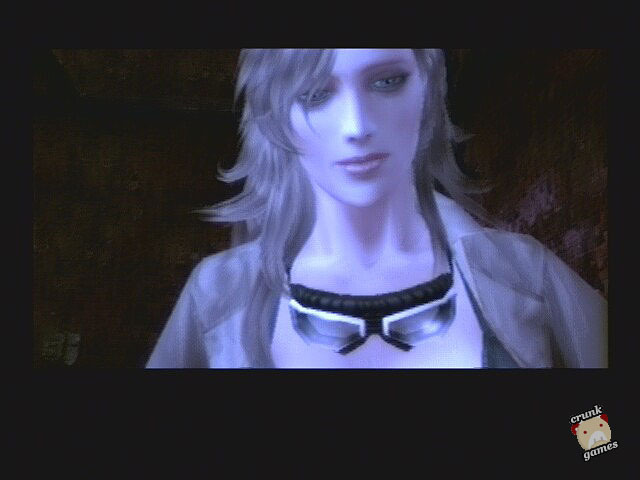 As for more techincal things, MGS3 looks and sounds great too. The graphics are the best the series (or the PS2, even) has seen yet, despite a downgrade in the FPS rates. A prevailing, slight sepia tone always seems to be present, adding a clever bit of aged yellowing to compliment the setting. The interface has also been given a lift, looking a lot more stylish than the cold electronic-styled menus of MGS past. Finally, no Metal Gear Solid is complete without an extra mode full of fun and hilarity, which is where Snake Vs. Monkey comes in. Featuring Sony’s mischievious monkeys from Ape Escape, the handful of missions are simplified — yet fun! — and treated completely un-seriously, right down to the opening radio conversation. It’s almost worth playing first, but we know no one will. And for your information, as the manual states, Snake Vs. Monkey is free of any graphic violence and suitable for all ages!